Marco Silva was left proud of his players' performance despite losing to a 96th-minute winner at Anfield. Marco Silva was left proud of his players’ performance despite losing to a 96th-minute winner at Anfield. Marco Silva felt defeat was harsh on Everton after a spirited display in the Merseyside derby. The Toffees were seconds away from securing a point at Anfield until Divock Origi pounced on a Jordan Pickford error to head home the winner in the 96th minute. 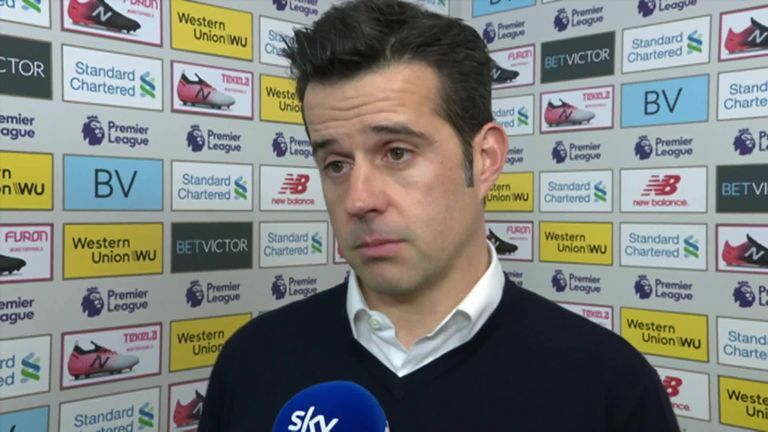 “First they [the players] didn’t deserve to lose,” Silva told Sky Sports.